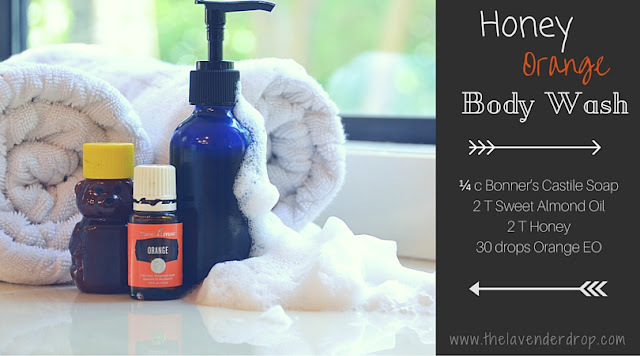 I am oh so in love with this super simple body wash. Since originally making this recipe, I have recreated it using Lavender* Essential Oil and Vanilla. You could easily substitute any Essential Oil favorite!! Bonner's Castile Soap is fantastically pure and toxin free. The unscented variety can be used as a base in any soap recipe.. from shampoo, to handsoap, to body wash. However, it can drying. In this recipe, I've added a little Sweet Almond Oil for moisture. In addition, honey is a fantastic moisturizer. It conditions the skin and I love how I feel after I use it. This recipe is for a 2 oz bottle. Adjust your amounts to make a larger amount. It is important to mix the ingredients with a mixer. The honey and oil will seperate from the soap as it sits in your shower. It will easily remix with a shake if the mixture was blended to begin with. Enjoy! *Not all essential oils are created equally. Most essential oils that you buy in stores are not pure and could do harm if applied topically, inhaled, or ingested. Do your research as to which oils are safe. I have spent hours upon hours of looking into Young Living and I fully trust their process in extracting essential oils without harsh chemicals or high temperatures. Want to know where to get them? Follow this link HERE. Be sure to check it out! 20 cotton rounds in a 4 oz jar and pour liquid mixture on top. Close tightly and attach label. This recipe is good for 20 uses. Simply double the recipe and add to a 1/2 pint jar to last longer. 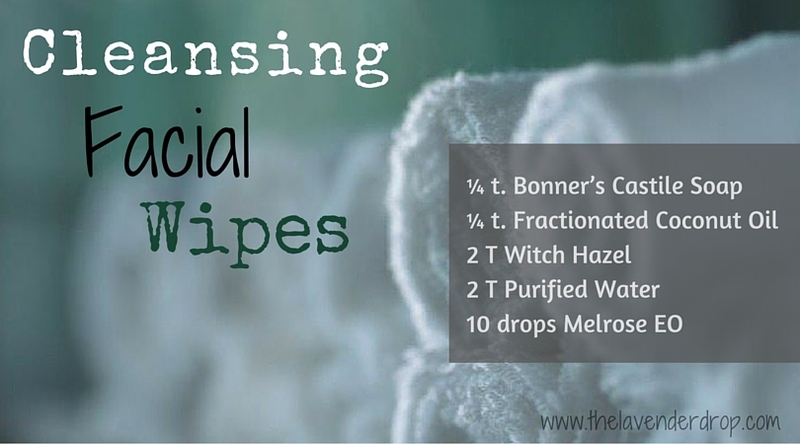 Make sure to close the lid tightly after each use to avoid the wipes drying out. Did you know? Melrose is an essential oil blend that has has 2 types of Tea Tree, Rosemary, and Clove. This combo is a great for cleansing and supporting healthy skin! Anti-perspirant is one of the most toxic body care products you can put on your skin. The active ingredient in most is an aluminum-based compound that temporarily plugs the sweat glands so that you do not sweat. Over time, this can build up and may cause health problems. Switching to a more natural anti-perspirant/deodorant is a must in living toxin-free. It is important to note that when you make the switch, your armpits will go through a "detox" period that could last a couple weeks. When I made the switch, man was I stinky! But, now that I've been using natural products for over 5 months, I've leveled out. I tend to be on the more sensitive side, so I opt for recipes or products that have a lower amount of baking soda in them. 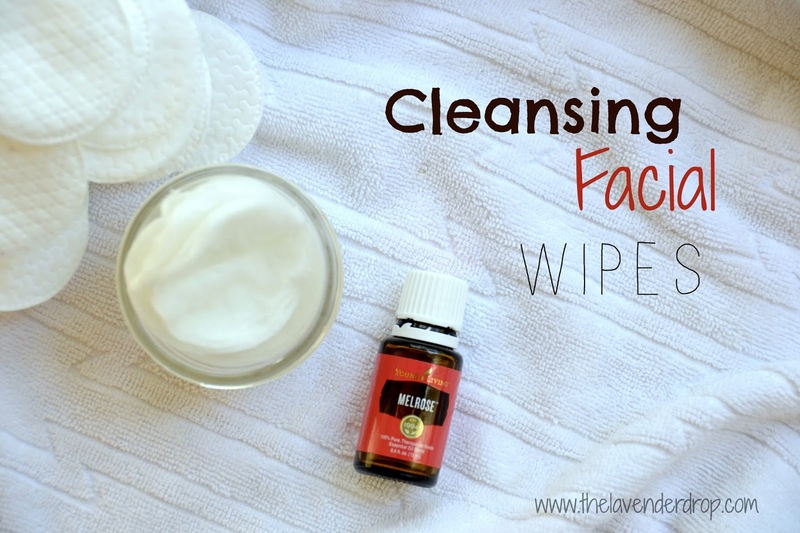 I love this recipe because it works and smells great! If I exercise or work outside, I simply apply again and it does the job! As always, the beauty of DIY products is that you can change them to fit your personal needs. 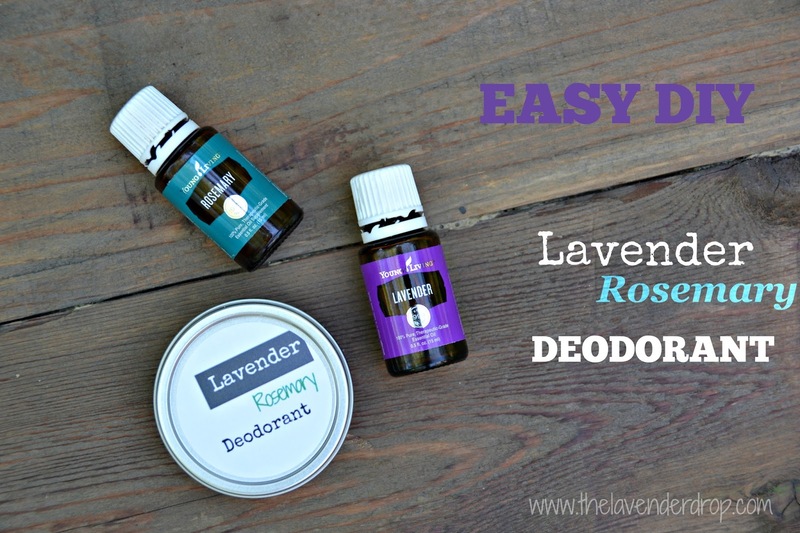 I hope this recipe helps you start your journey to toxin-free deodorant use!! Mix vigorously until all clumps are gone and the mixture is well-blended. Place in container and add label! If you want these cute 2 inch labels, simple email me and I'm happy to share! Are you looking for that hidden "wow" in your homemade brownies? Orange essential oil makes a great flavor booster. These brownies will surely get your mouth watering just smelling them from the oven. Below is my tried-and-true, from-scratch brownie recipe. 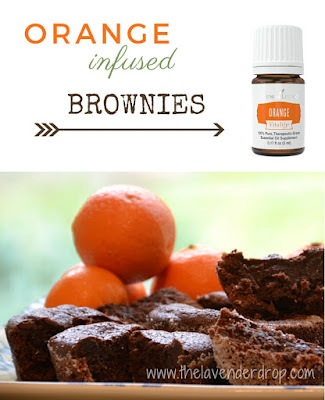 If however, you are in a hurry, simply add the Orange essential oil to your favorite brownie mix for an instant gourmet taste! !